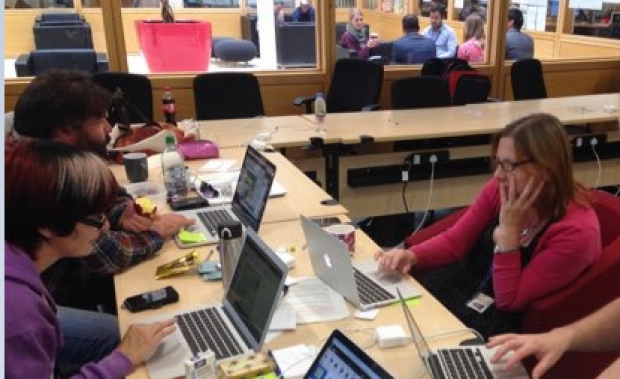 I’m part of a scrum team to redevelop and re-host a Carer’s Allowance web-based service. I’ve been in my current role since September last year. When I applied for the job I was pleasantly surprised to find out that I would be working on various types of testing, and implementing them on various projects. This included automation, performance, accessibility and security testing. As a tester I had been used to working in silos for a specific tool or technology, so the variety of the work was very appealing. I’ve also been able to learn tools such as Axe for accessibility testing and JMeter for Performance testing – implementing them on at least 3 different projects so far. And, I’ve been given the opportunity to learn and develop. For example, I’ve been on training courses for Scrum Master, Docker and Rest API to name a few. Since joining I’m pleased that I’ve been able to use my knowledge and experience to not only write code, but contribute to the whole spectrum of project delivery activities. For example defining business requirements, participating in and leading scrum sprint ceremonies, and automating testing. I’ve also performed resilience testing for AWS based applications and ensured the smooth transition of applications from one cloud hosting server to another. Working for DWP means that my work has an impact on the most vulnerable people in society at the time of their greatest need. And so far I’ve worked on 2 customer facing projects. Therefore, it’s important that the applications I am working on meet the needs of our users and the demands at the busiest times. Consequently, non-functional testing becomes paramount to the success of the project. In the coming year, I hope to progress my career as a tester to a more senior role and to develop myself into more technical aspects of testing. Our engineering community is expanding and we’re currently recruiting test specialists. If you’re interested in working with us, take a look at our current vacancies. We’re adding new roles all the time. You can also have a look at our LinkedIn page, and find out more about what’s happening in DWP Digital by subscribing to this blog and following us on Twitter @DWPDigital and @DWPDigitalJobs.